Curious about the emerging practices that organizations like Salesforce and Northwestern Medicine are leveraging to transform employee engagement? Then you can’t afford to miss the 6th Annual Strategic Internal Communications conference presented by Advanced Learning Institute (ALI). SF IABC members can enter the code IABCSF for significant savings on registration! SF IABC is delighted to link arms with our thought partners from Advanced Learning Institute (ALI) to extend a special member-only offer for their upcoming 6th Annual Strategic Internal Communications conference that will be held January 29 – 31, 2019 in San Francisco. IABC members who register for the conference with the code IABCSF will enjoy a $200 discount. If your career goals include expanding your network, learning about innovative tools and breakthrough strategies to help drive culture change, in tandem with fortifying your personal brand, then the ALI conference experience offers a timely opportunity to maximize your investment in IABC’s professional development resources. What’s more — several SF IABC members have confirmed that the exciting mix of general sessions, interactive workshops with case studies and purposeful networking sessions deliver great value while also aligning with our global industry standard. ALI conference organizers are committed to providing attendees with a uniquely intimate professional development experience. Preston Lewis, founder and CEO of Intactic, a modern communications company focused on creating more human-centric experiences for people at work, praises the myriad benefits of uniting industry thought leaders and practitioners in a highly collaborative environment. SF IABC board member Jeff Rader has a profound appreciation for the robust exchange of ideas that he experienced during his inaugural ALI conference experience earlier this year. “All of the general session speakers shared some very interesting approaches for transforming employee communications, and we also heard fascinating content about re-imagining storytelling as a platform for allowing others to come up with conclusions,” says Rader, who serves as a corporate communications strategist for Bay Area clients. Throughout the two-day event, Rader connected with peers socially and for several immersive use-case sessions — both of which are signature elements of the ALI conference experience. “I so enjoyed the chance to gain practical tips on how my peers are taking their internal communications and change management strategies to the next level with wide and varied technology platforms, from podcasting to Social Chorus,” Rader explains. 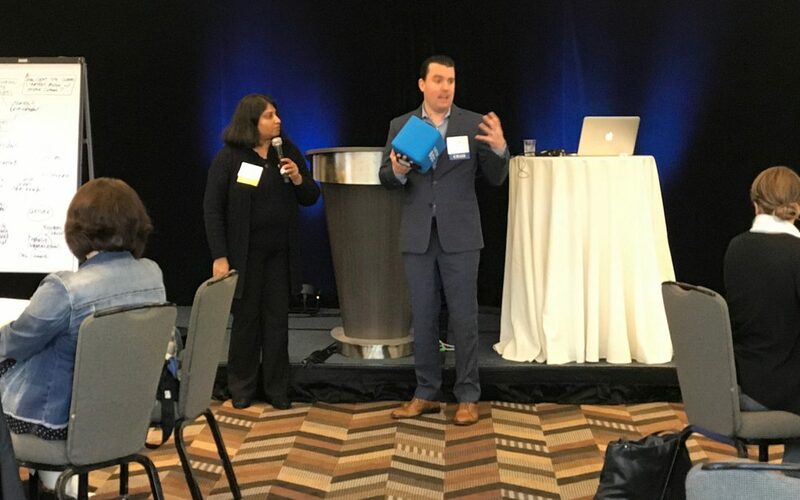 Kamna Narain, internal communications advisor and coach, supported the 2018 ALI Strategic Internal Communications conference as both an attendee and presenter. Her session on diversity and inclusion advanced the discussion on breaking down siloes and increasing two-way communications. Register for the upcoming 6th Annual Strategic Internal Communications conference using the code IABCSF, and you’ll enjoy a $200 IABC discount! Ayanna N.S. Anderson is a community engagement and strategic communications leader with more than 20 years of experience in increasing brand visibility and maximizing alliances on behalf of her nonprofit, corporate and public sector clients. An IABC SF board member since 2017, Ayanna is a champion for storytelling as a catalyst for social change. Connect with Ayanna on LinkedIn.